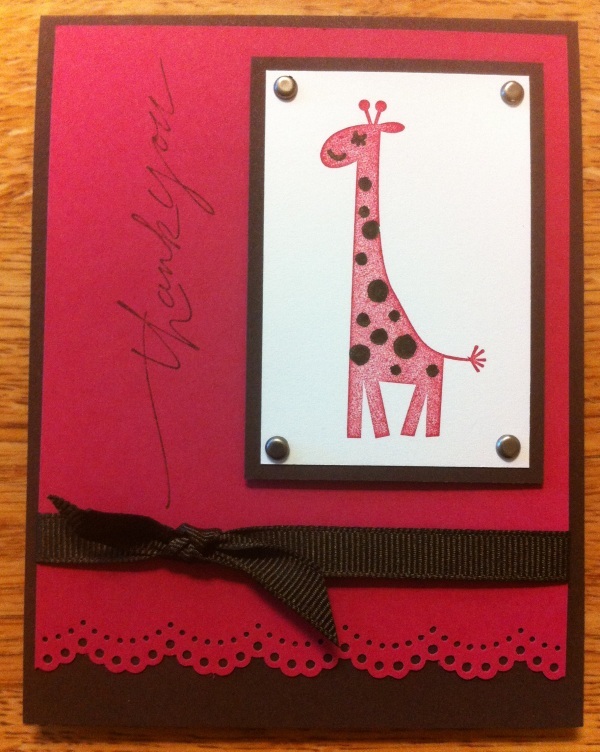 Its a double eyelet and just makes the card. Can't wait to use it in future cards. So pretty and adds a touch of sweetness to the card. Next to start packing for our trip to New Mexico we leave tomorrow and will be back on Thursday.